Graduates of private educational institutions are finding it easier to get jobs. In 2017 for example, graduates from the Singapore Institute of Technology were more likely to find employment within the first six months of graduation, compared to students from other Singapore universities. In the same year, students from the Singapore University of Technology and Design outperformed NUS, NTU and SMU in terms of employability. Anecdotally, Singapore University of Social Sciences graduates have also received good job offers. The key to SIT’s and SUSS’ success in graduate employability is their strong commitment to an industry-centric education. At these two universities, students are provided with applied-degree pathways that aim to integrate theoretical knowledge with real-life applications. Both universities also feature longer-than-usual work attachments for their students, with those from SIT typically spending eight to 12 months in such stints under the university’s Integrated Work Study Programme. Singapore students have to develop a sense of dare and entrepreneurship, and learn to think bigger as well as think creatively. Mr Saeed Amidi is the founder of the Plug and Play accelerator, a company that invests in start-ups and links them with corporate clients. According to him, the key to success in entrepreneurship is the energy and the drive, as well as the passion for success. Also crucial is the readiness to work hard. Students these days like to have a road map to everything. They require too much structure, whereas entrepreneurship is all about being a little scrappy. Students have also been taught to behave a little too humbly as a result of their civics and moral education classes. That being said, Singapore students have a first-rate education and they are not afraid of hard work. Students have incredible talent, but they need to think bigger, and that only come with exposure to the outside world. In a recent Facebook post, Singapore’s Prime Minister Lee Hsien Loong said that while our education system is widely admired, the government will not stop trying to improve it. During the Committee of Supply (debate) in Parliament today, Ong Ye Kung announced that secondary school streaming will be phased out by 2024, and that subject-based banding will take its place. PM Lee said that streaming has enabled students to learn at their own place, and enabled many more to complete Secondary School and move on to further education. However, PM Lee also said streaming lacks flexibility, and may cause some students to lose their motivation. Mr Lee said that he was happy that there has been a lively exchange of views in Parliament about streaming. He said that the government will continue to take education very seriously, and listen to all ideas to make it better. Mr Lee added that schools should tailor the education they offer to the students’ varying needs and talents. At the same time, schools should create opportunities for students to interact with one another across different races and social backgrounds so that they grow up at ease with one another and share a sense of identity, mutual responsibility and nationhood. To replace streaming, the Ministry of Education has introduced subject-based banding, where students will take a combination of subjects at different levels according to their strengths. Secondary school students will also sit for a common exam, as opposed to segregated N-Level and O-Level examinations. Education Minister Ong Ye Kung said this change will be implementing at a pace that takes into account the trade-offs, complexities and the immense impact it will have on students. Taking away the Normal and Express labels is significant, in part because such a move recognizes the fact that students are endowed with varying and diverse strengths. Students will also get to spend most of the school day in mixed-ability classes, and learn how to interact across the board with peers of varying ability. These changes will help educators customise education for students, while minimising the effect of labelling and stigmatisation. Education Minister Ong Ye Kung has said in Parliament that without streaming in the past, Singapore’s social stratification would have been worse. In the early years of Singapore’s independence in the 1970s, a third of every cohort dropped out of school. Today, the figure is less than 1 per cent. This is due to the system of streaming, Mr Ong asserted. Streaming was introduced from the 1980s to arrest the high school attrition rate, and the Normal (Technical) stream was introduced in 1994. Singapore had to move away from a one-size-fits-all education system because if students could not catch up with their lessons, they would lose interest and drop out of school. “We are now ready to take a further, major move,” said Mr Ong. This includes the roll-out of full subject-based banding starting next year, and then the end of streaming in 2024. 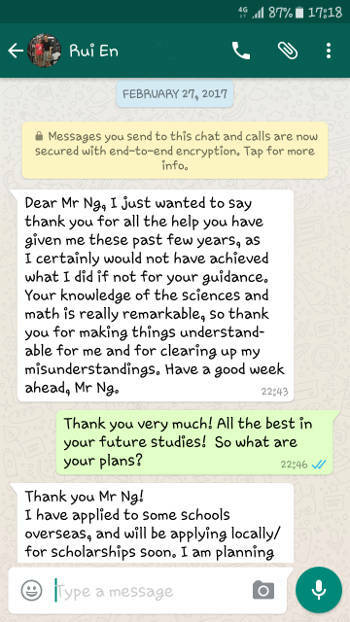 Mr Ong said he was confident that the new system will benefit many students. “The school system will become far more flexible than today, so that we can customise learning to the student, to give them time to blossom at different points in their lives, while anchoring the belief that we can grow and get better,” said Mr Ong. The Ministry of Education has decided to abolish streaming in Singapore’s schools. In particular, the Normal (Technical), Normal (Academic) and Express streams have been eliminated and in their place, there will be full subject-based banding, in which students will study subjects based on their own strengths. All Secondary 1 students in the 2024 batch will take subjects based on their ability, with subjects such as mathematics taught at three levels — G1, G2 and G3. When these students reach Secondary 4, they will take a common national examination and graduate with a common secondary school certificate. Form classes will be reorganised across the board, and a combined secondary education certificate will effectively merge the current Express, N(A) and N(T) streams into a single course. Schools will be encouraged to use the opportunity to group students in different ways and not according to their abilities, thus allowing for more social mixing.